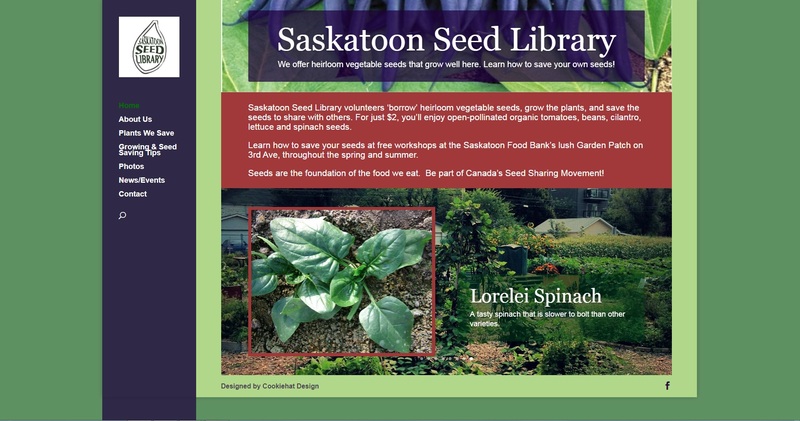 Designed a website to help promote the Saskatoon Seed Library, and provide information to it’s members. Updated/Redesigned Jan. 23, 2019 to better showcase the selection of seeds they offer, and more accurately and effectively represent the organization. Contact Cookiehat Design - No job is too small, we look forward to working with you!